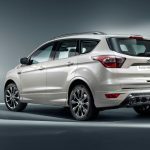 Ford Europe is expanding its premium European “Vignale” brand, with a number of fresh new reveals taking place at the 2016 Geneva Motor Show. 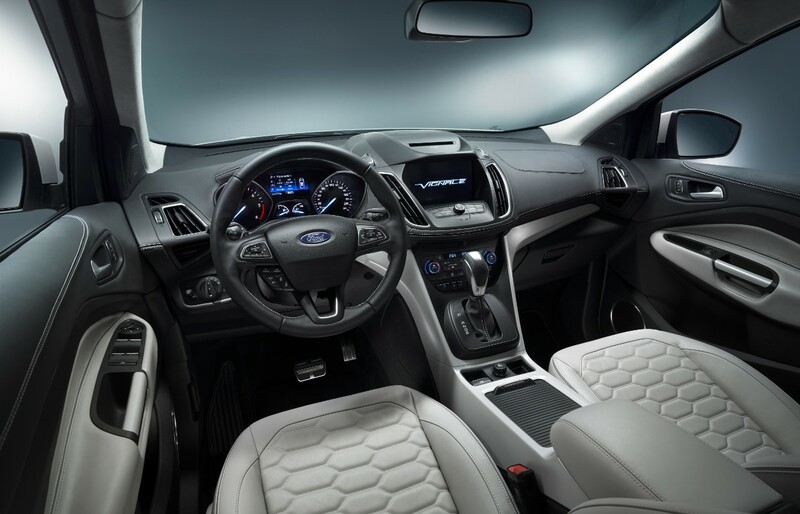 One such reveal is the Ford Kuga Vignale concept crossover. 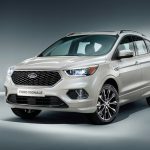 A refreshed version of the Ford Kuga (Escape) CUV just made its European debut at the recent Mobile World Congress in Barcelona, Spain. 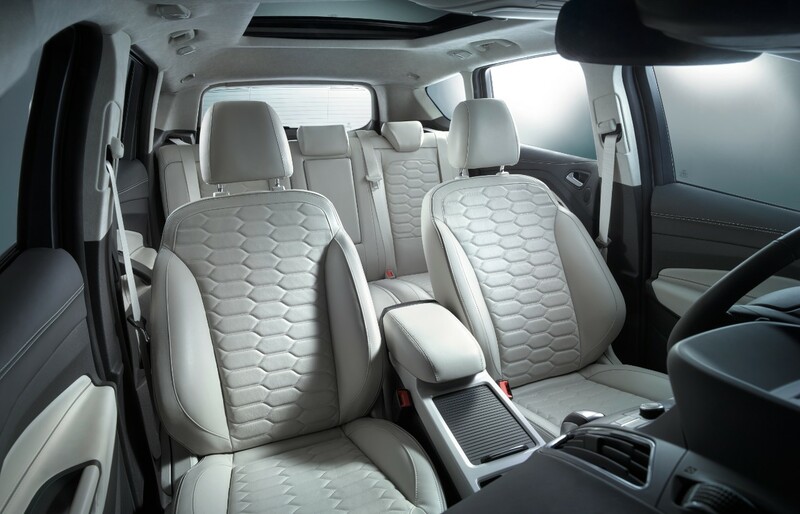 Using that model as a starting point, the new Ford Kuga Vignale concept adds plenty of premium materials and a more upscale look to create a more luxurious model. 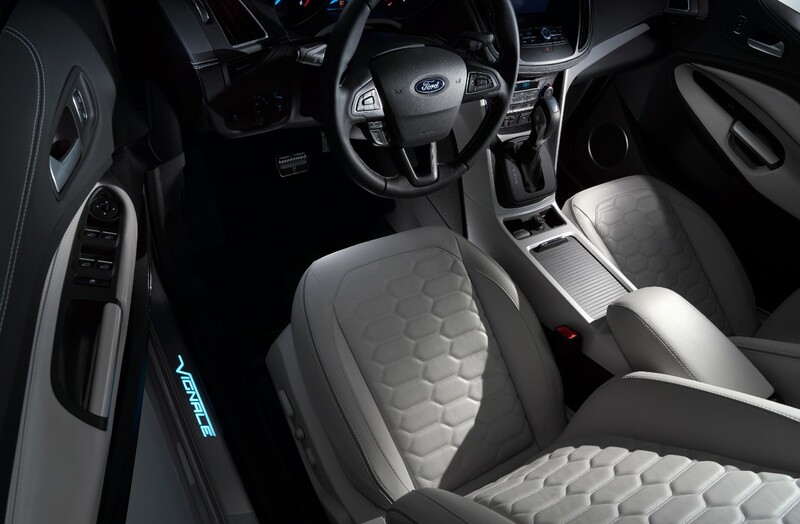 Presented in Vignale Palazzo Pearl, the Ford Kuga Vignale concept has been given a fresh hexagonal mesh grille like that on the recently-revealed Ford Edge Vignale, with a chrome surround. A tarnished dark paint effect adorns the door appliques, foglamp surrounds, and front and rear skid plates. 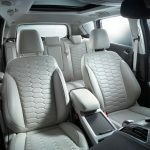 Inside, hexagonal-quilted leather wraps the seats, while still more leather adorns the doors, instrument panel, and much of the tailgate interior. The window pillars and headliner are trimmed in Alcantara. 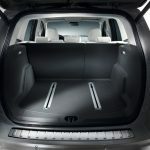 Ford Europe sees the Ford Kuga Vignale as an essential product, thanks largely to the strong sales performance of the range-topping Platinum-trim Kuga CUV in 2015. 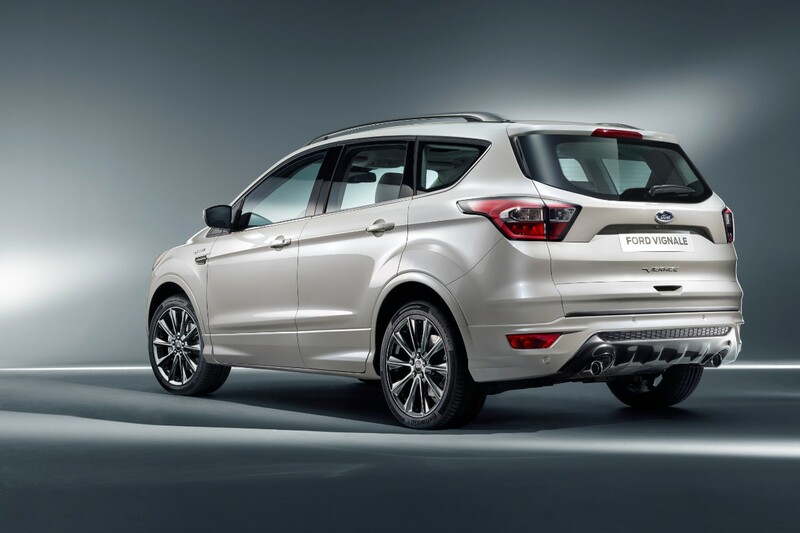 Nearly four out of every five Ford Kugas sold last year were Titanium models. 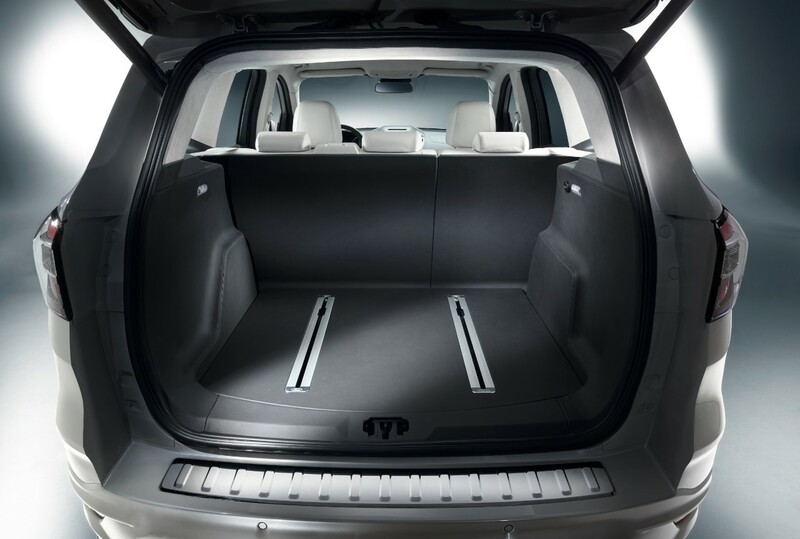 Meanwhile, the SUV segment as a whole is expected to grow to 27 percent of new vehicle sales in Europe by 2020, up from 20 percent in 2014. 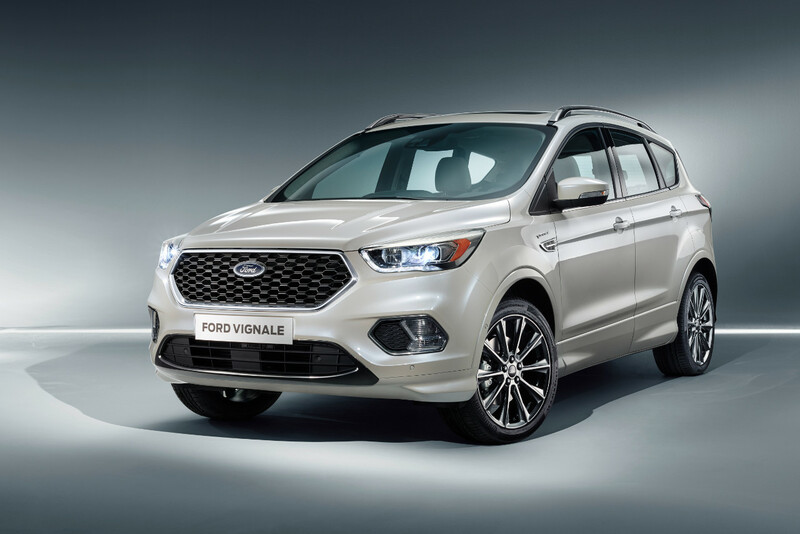 The Ford Kuga Vignale premium crossover is just a concept, for now. No word yet on when we can expect to see a production-ready version, nor when it might arrive on the market.